Sometimes people find it difficult to manage their music using iTunes since it cannot transfer lots of songs at once and some music might not be seen on iTunes. If you are tired of using iTunes to manage your iTunes, this article is written for you, here are five ways to manage iPhone music without iTunes. 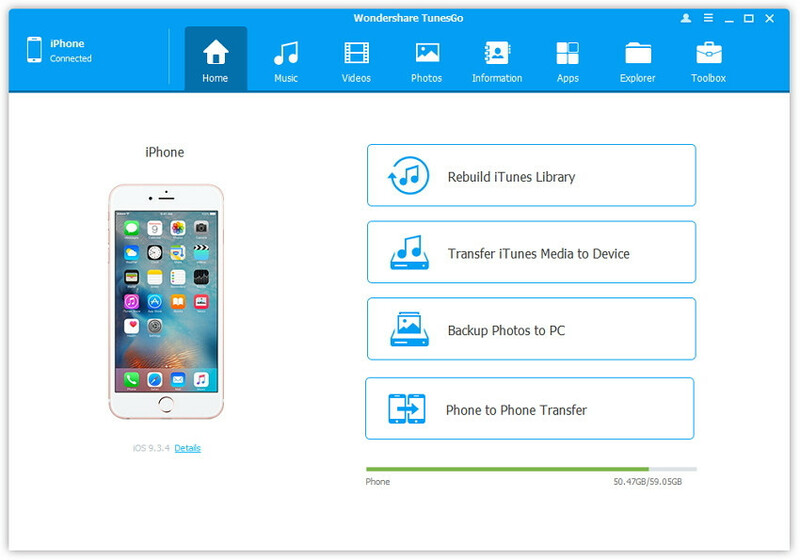 If you have not heard about iMyFone iPhone Manager, then you have missed a great privilege to use one of the best apps in making data transfer between your iPhone/iPad/iPod and your PC. Apple products, as remarkable as they also have some flaws and solutions to these flaws are not easy to come by, thus why you need Tunesmate to solve these problems. What you have to do is the download, install and launch the app and sync it with your songs. It supports all file type and can manage iPhone music without iTunes. Two-way transfer: It allows you to export files from iPhone to iTunes/PC or sync them from iTunes/PC to your iDevice. Sync without erasing: You can transfer songs to your iPhone using multiple iTunes libraries or PCs without having to recover the current music. 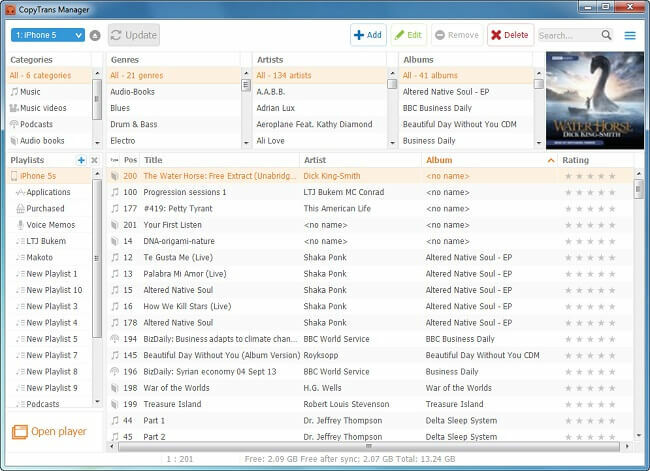 Manage non-purchased music: It is compatible with both non-purchased and purchased songs. Export all media files: It enables you to export files such as movies, podcasts, music, audiobooks, iTunes U, TV shows, photos and so on. Step 1: On your PC, download and install Tunesmate, after that, use a USB cable to connect your iPhone. Step 2: Select the category of music at the top menu. This will take you to the “Music” window by default (if you want, you can select other categories). Step 3: Look for the songs you don’t want again and click on the “Delete” button at the top bar. 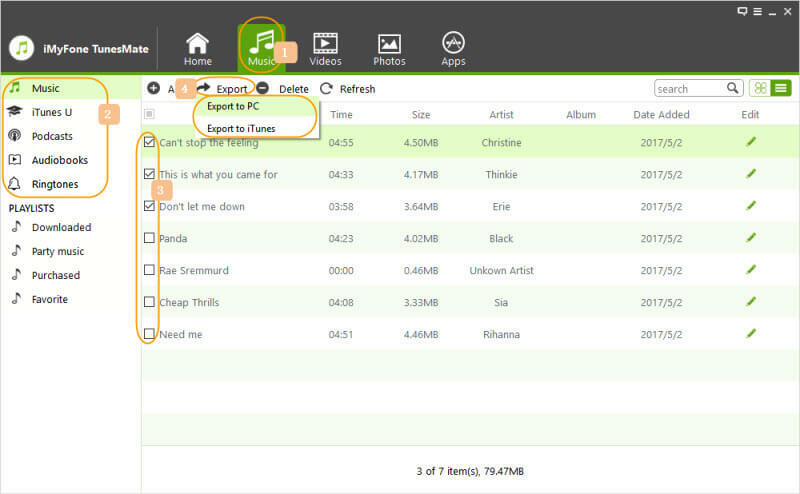 The steps below will show you how to download songs from your iPhone to your PC using Tunesmate. Step 1: Download and install Tunesmate from the official site. Start it and connect your PC/Mac with a USB cable. Step 2: Press the “Music” tab located at the top of the interface. After that, you will see the music appearing on the screen of your device. This is a free way to manage iPhone music without iTunes. It enables you to easily drag and drop audios and videos directly from your computer to your device. Step 1: On your PC launch CopyTrans Manager and plug in your iPhone using a USB cable. Step 2: Drag and drop your desired songs from the windows explorer to the track listing of CopyTrans manager. This is also a free way to manage iPhone music without iTunes, and it provides you an ultimate transfer solution between your iDevice and Windows PC. It enables you to transfer songs from PC to iOS device quickly. Step 1: Launch SynciOS manager and use a USB cable to plug in your iDevice. Step 2: Go to My Device>Media which is on the left panel and select the songs from the right panel. Step 3: Press the “Import” icon to transfer songs from PC to your iDevice. Tunesgo is an ideal companion for discovering, sharing and managing iPhone music without iTunes. It enables its users to export music from PC to iDevice, breaking down the limitation of iTunes for transferring songs. Step 1: Launch Wondershare TunesGo and go to the Music page you have connected your iDevice. Step 2: Press the “Import” button and choose the “Import from Computer/Mac” option. 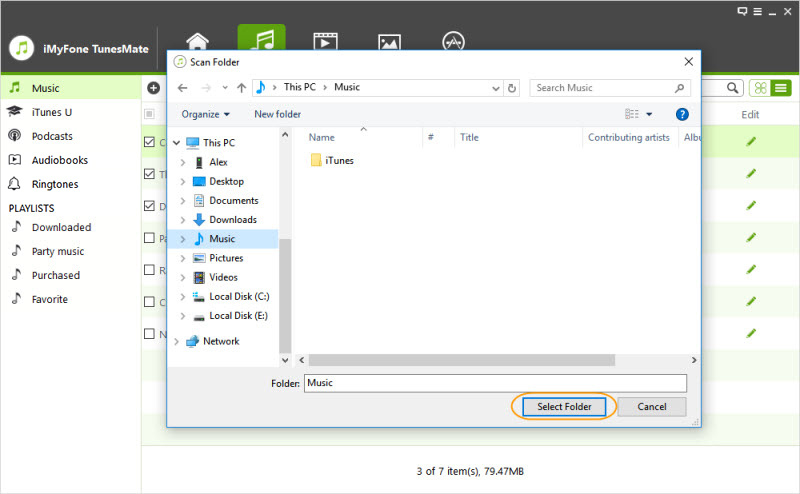 Step 3: On your PC choose the music files via the Windows file explorer. After that, tap on “OK” then the songs will be transferred to your device. This is an iTunes alternative freeware which enables you to move songs from your PC to your iPod, iPhone or iPad without iTunes. That means it can manage iPhone music without iTunes. During the transfer of files, no original files will be deleted. Also, PodTrans can export music, podcasts, voice memos, videos and so on from iPod, iPhone or iPad for backup. However, it is a pity that it is incapable of converting audio formats.